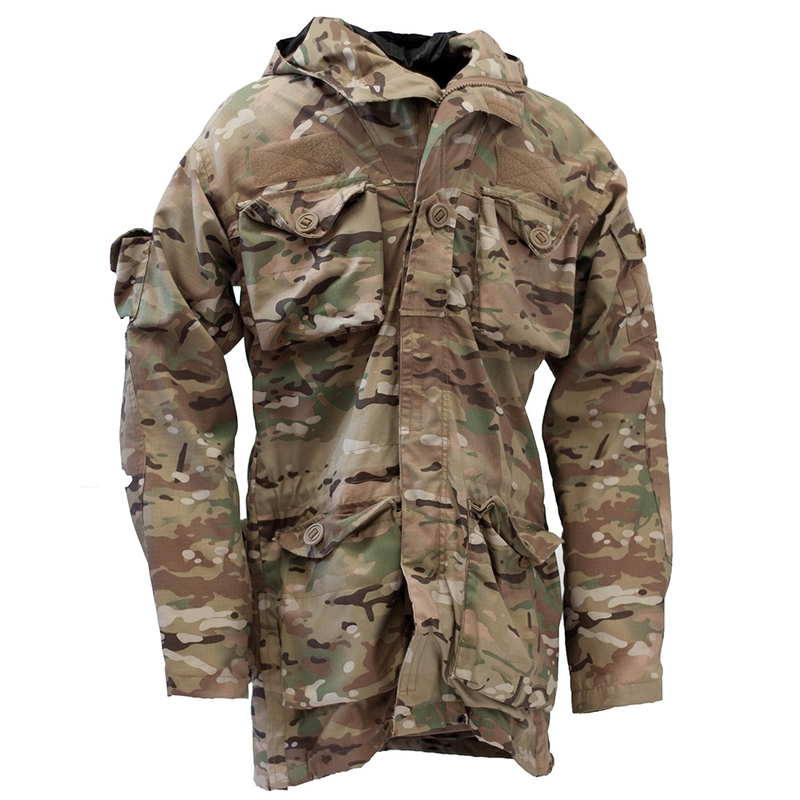 Solo All Terrain Pattern Long Range Patrol Smock - designed for the Green and Desert Role environments. 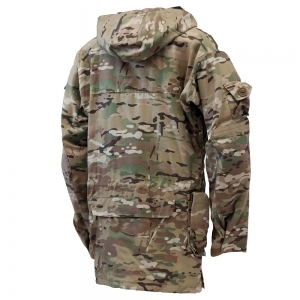 Pattern compatible with MTP and Multicam. The Solo ATP Long Range Patrol smock is constructed of ripstop polycotton with a waterproof and breathable inner lining. Made to effectively disappear in green environments, the smock is extremely well thought out and is equally at home in UK moorland, fields or woodland. 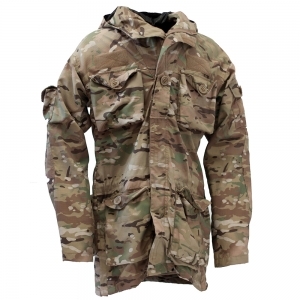 With two large chest pockets, two small upper arm pockets, a large rear map pocket and two lower front pockets with zipped hand warmer pockets, this smock has the capacity to carry more than you need. In addition, the latest version of this smock has two double NATO 5.56 magazine pouches built in. The under arms are zipped for ventilation or the application of tourniquets and the left and right sides are zipped vertically to allow easy access to pockets, belt or pistol.